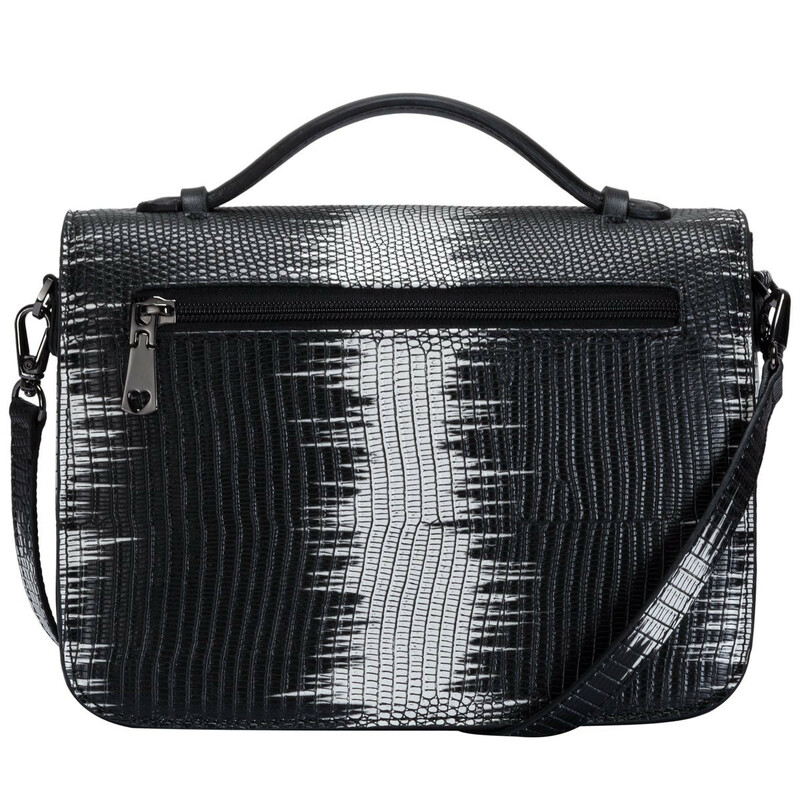 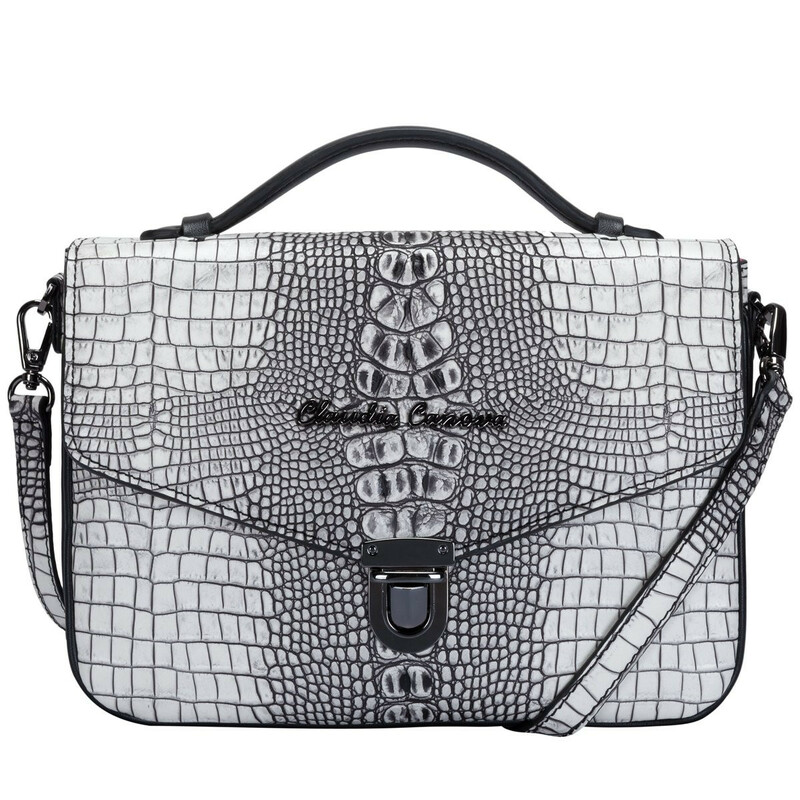 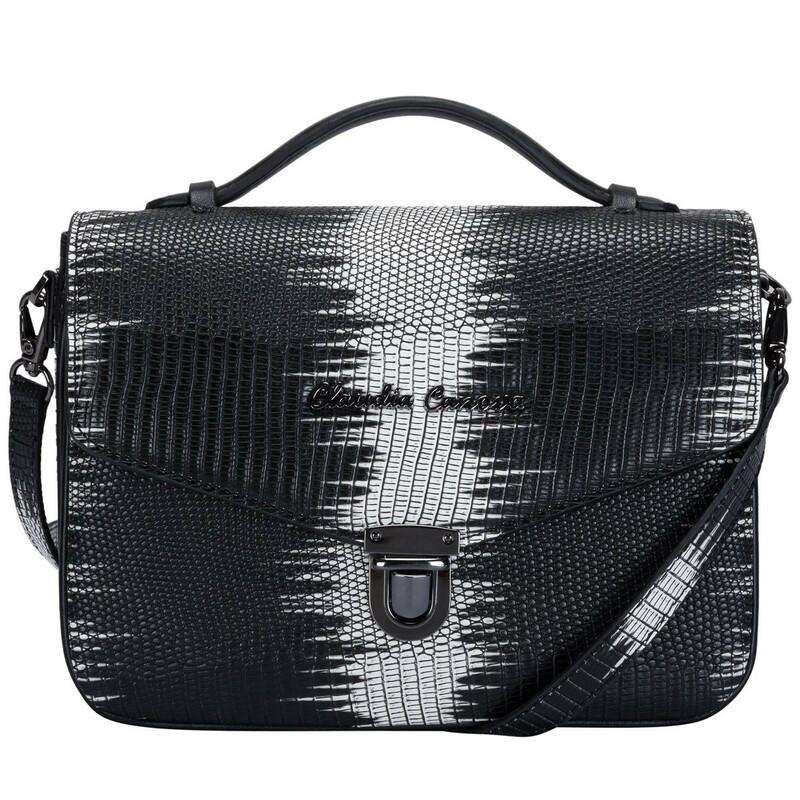 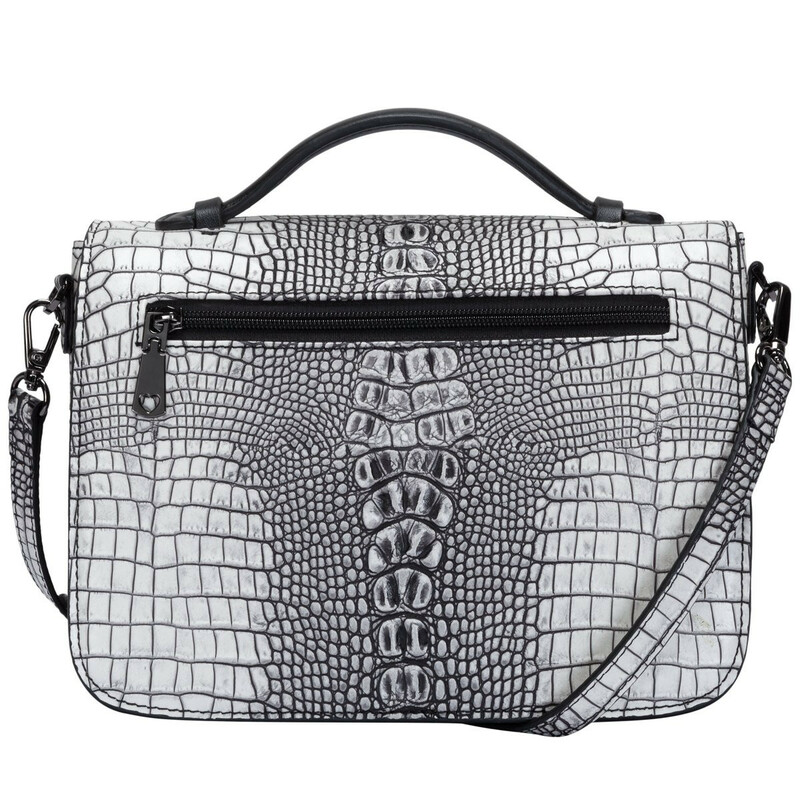 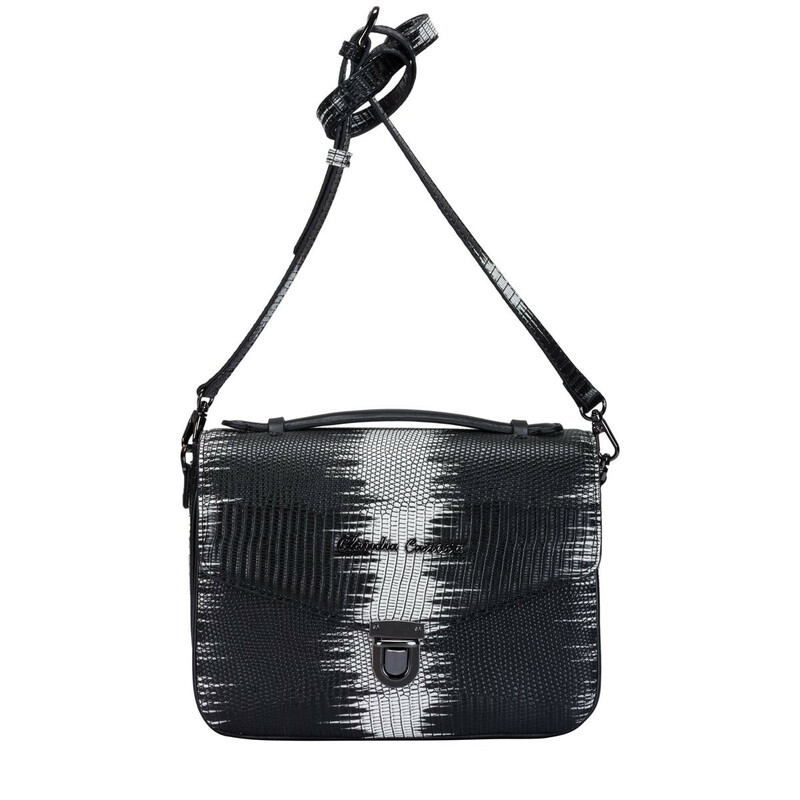 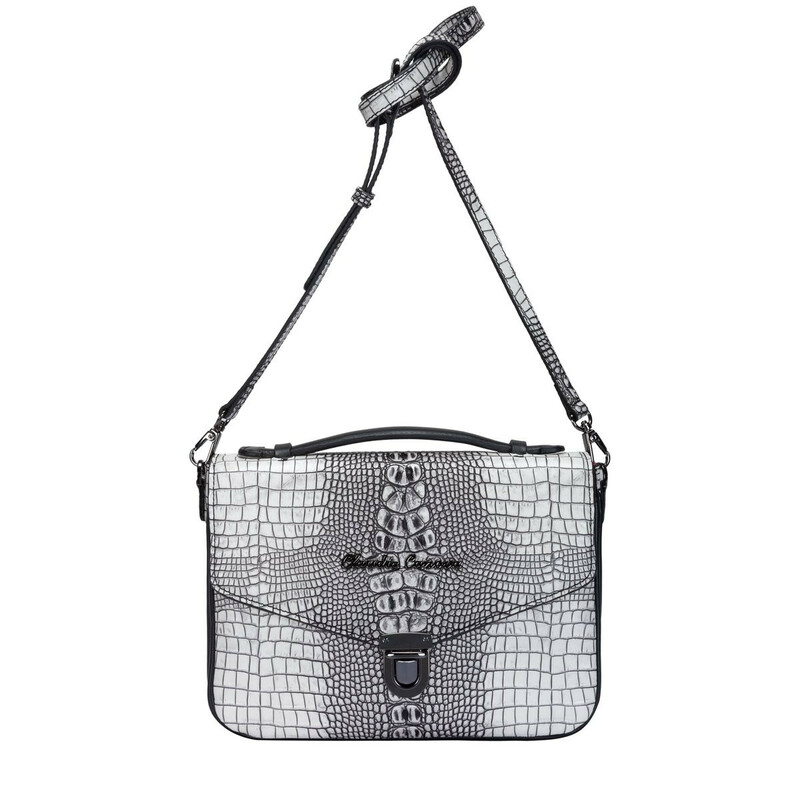 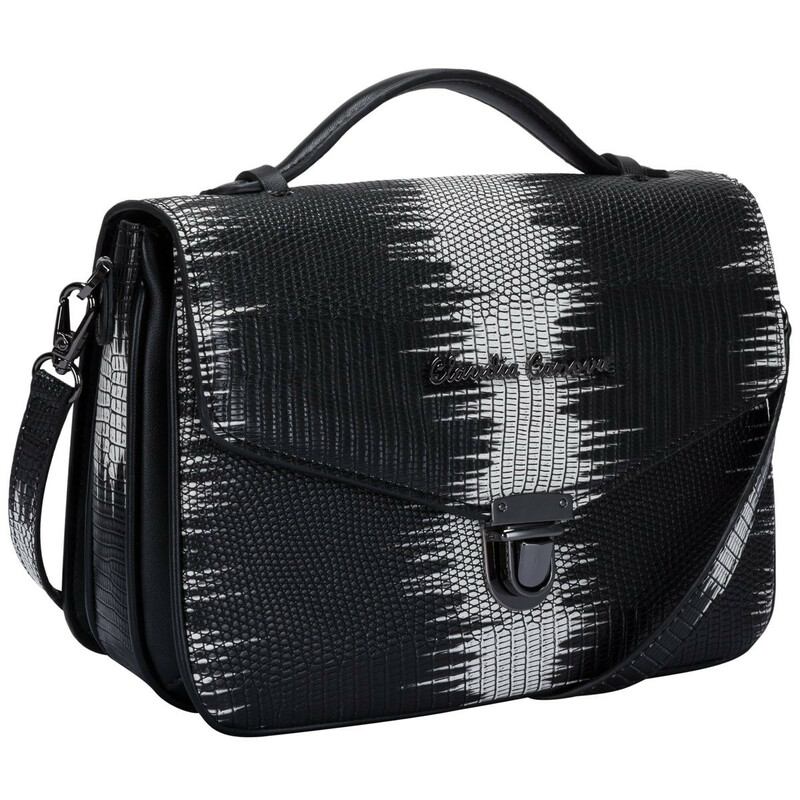 A chic lizard print PU cross-body bag, perfect for day or night. 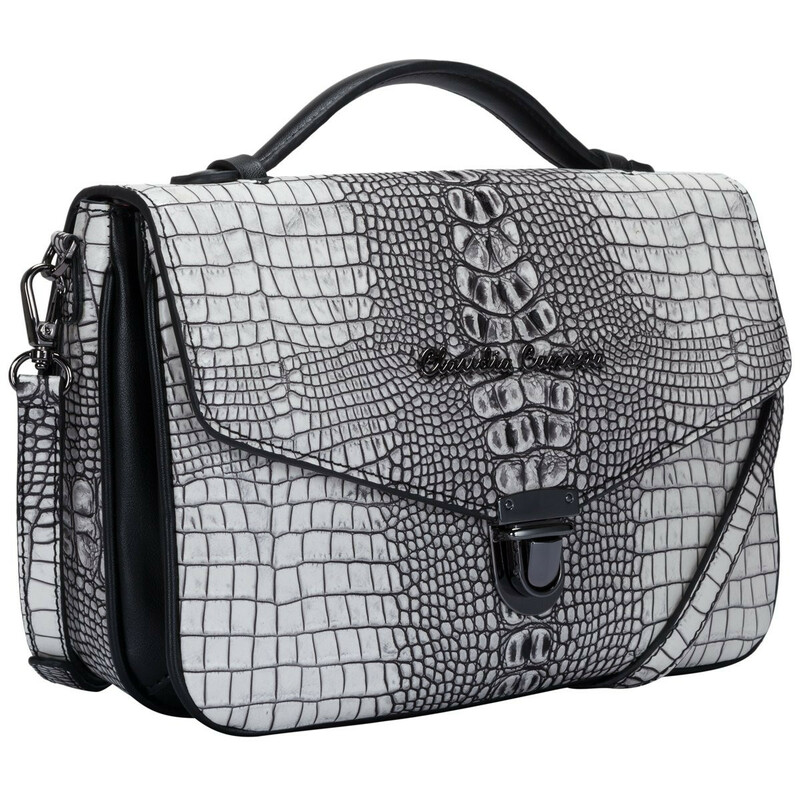 The flap-over front is fastened with a gunmetal push lock and the design is complete with the Claudia Canova gunmetal logo. 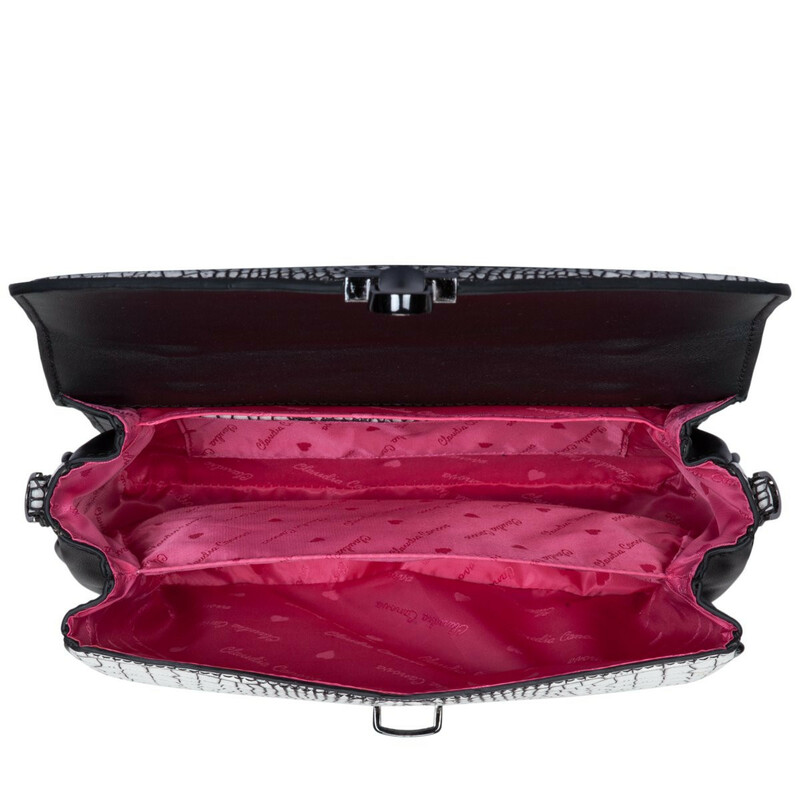 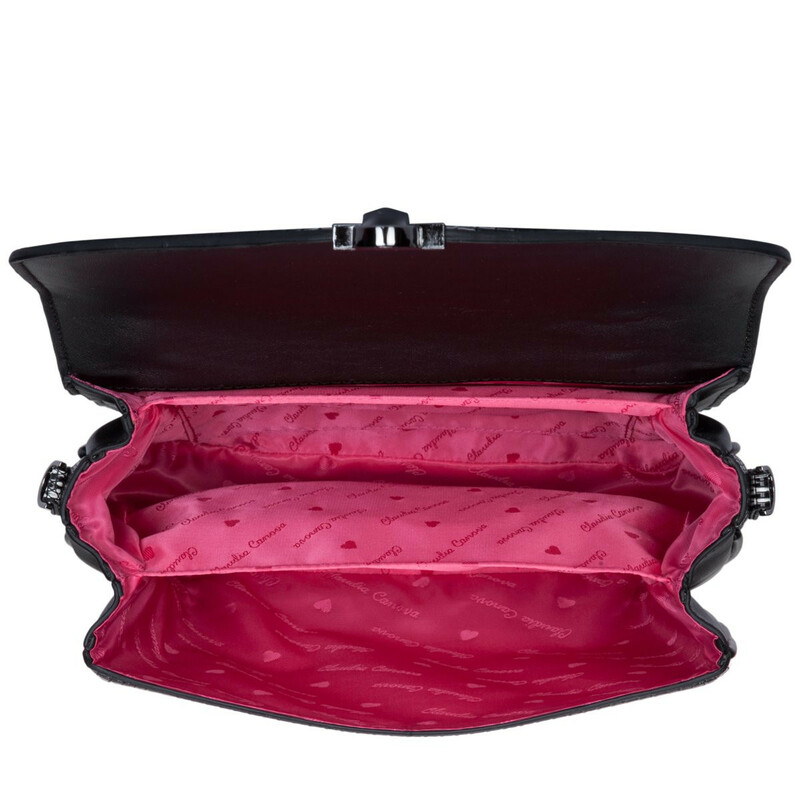 Inside reveals a branded interior with two compartments, big enough to carry your essentials and an external zip pocket on the back for more valuable items.